We all sweat, especially during those hot, sticky summer days. Leave-in condish is a great way to protect your ends from sweat and keep them moisturized. Sweat contains salt, which can be drying and cause breakage. However, your leave-in condish is a great way to create a barrier against the drying sweat. Before you head out (outside, to the gym, anywhere you’re prone to sweat) add some leave-in conditioner to the areas of your hair that come in contact with sweat, i.e. your neck and hairline. This will create a barrier and keep your ends soft, hydrated, and anti-breakage. Leave-in condish is a great way to protect your ponytails and puffs from getting wrapped around your ponytail holders and snapping your strands. If you use holders made from a stretchy material, I suggest coating them in leave-in conditioner before using them. This will add some slip to the holder, which will allow it to roll right off your hair when it’s time to remove it. It will also keep that section of hair moisturized and soft in the meantime. A great way to seal your cuticle and promote shine would be to use a cold leave-in condish. I know the cold-water rinse is torture enough, but using a cold leave-in is a great way to seal your cuticle as well. If you have a small bottle, I suggest refrigerating it before washing your hair, which should be enough time to make it cold for use. Then, evenly distribute the leave-in through your hair. Once it has dried, you should have closed cuticles and amazing shine! 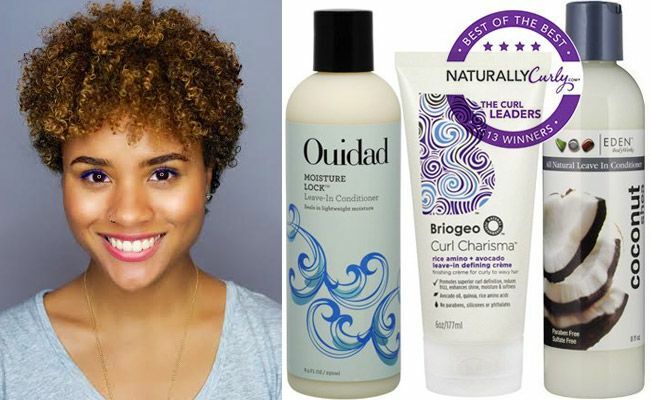 In case you wanted to know, my favorites are the EDEN BodyWorks Coconut Shea All Natural Leave-in Condish, Ouidad’s Moisture Lock Leave-in Condish, and Briogeo’s Curl Charisma Leave-in Defining Crème (2-in-1). Find more of Ashley on her blog, Curls Fo' The Girls.